Finding accommodation in the Free State is not hard, thanks to the many game reserves and their gorgeous game lodges; where the raw beauty of South African landscapes can be celebrated. Wide open spaces, wheat fields that stretch their golden blanket right to the horizon, windmills, and the ever-changing skies of Africa set this province apart. 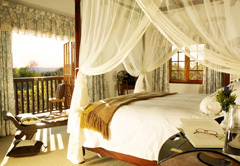 For a more urban setting, there are guesthouses, B&Bs and hotels in Bloemfontein, the capital city. 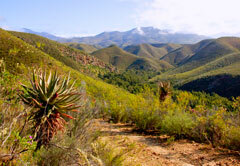 The Free State is home to a number of excellent nature reserves and parks. 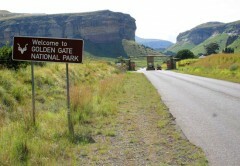 The best known of these is the magnificent Golden Gate Highlands National Park, which sits snugly in the foothills of the Maluti Mountains. This reserve is home to wildebeest, springbok, eland, African wild cat, caracal, silver fox, black-backed jackal, and Burchell's zebra. Other popular reserves in the Free State include the Gariep Dam Nature Reserve and the Sterkfontein Dam Reserve; both of which are home to an impressive variety of mammals, birds, fish, and insects. 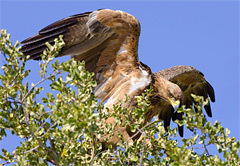 Safaris and game drives through the various reserves of this area are a must for visitors that want to experience the game and predators in their natural environment. 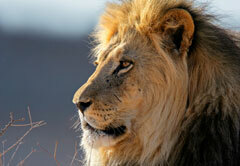 There are routes for self-driven tours or for guided safaris, with the aid and input of an experienced ranger. Having a guide increases your chances of seeing some of the more elusive species, as the rangers can track them, and know how to spot them despite excellent camouflage. Savour the Free State beauty and glimpse into its wildest habitats when you visit the nature and game reserves of this beautiful province. Click on the game reserve, national park or nature reserve you wish to visit on the Free State map or select from the full list below, to view additional information about the reserves and for listings of all lodges listed in the relevant area.